The James Watrous Gallery focuses on contemporary Wisconsin artists, Wisconsin art and craft history, and works owned by Wisconsin collectors. 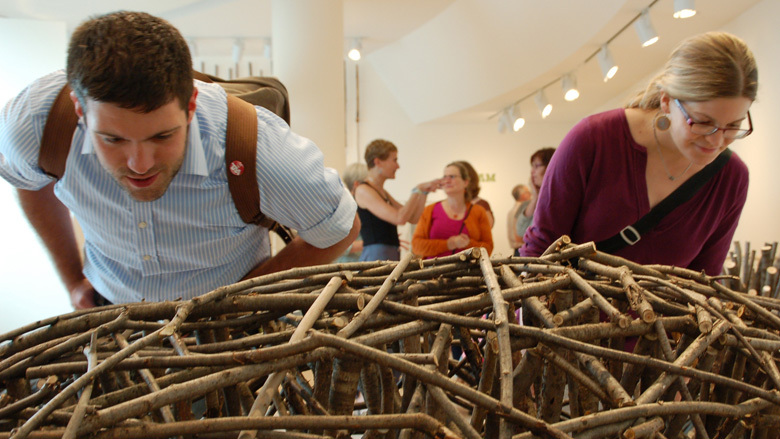 As part of the Wisconsin Academy of Sciences, Arts and Letters, the gallery also features exhibitions that bridge the arts, sciences, and humanities. Free and open to the public, the James Watrous Gallery is located on the 3rd floor Rotunda space of the Overture Center for the Arts in Madison. Opened in the Overture Center in downtown Madison in September 2004, the James Watrous Gallery is named after artist and art historian James Watrous (1908-1999), one of the most influential and beloved figures in Wisconsin visual art. Watrous taught art history and art at the University of Wisconsin-Madison from 1934 to 1976 where he helped shape the departments of art history and art and mentored many students who went on to great accomplishments. He is known as "the father of the Elvehjem" for his pivotal role in establishing the Elvehjem Museum of Art (now the Chazen Museum of Art). Watrous also created many works of art in public spaces, including the Paul Bunyan Murals in the UW-Madison Memorial Union.